The ruling comes after the US State Department settled a case with Defense Distributed last month, allowing the company to make blueprints for the 3D-printed weapons available for download. That decision followed a four-year legal battle between the government and Defense Distributed owner Cody Wilson, along with gun-rights activist group The Second Amendment Foundation, over the plans. But the settlement didn’t bring the situation to a close. A multi-state lawsuit sought to issue a restraining order and an injunction to block Defense Distributed from publishing the 3D designs. Another victory! In addition to the NJ court order today, we joined a lawsuit in Washington State against the fed gov’t for failing to protect public safety from printable gun codes. Federal judge just ordered that the fed gov’t cannot allow @defdist’s dangerous conduct. Cody Wilson said he has now shut down his site as a result of the Judge’s ruling. "By order of a federal judge in the Western District of Washington, http://DEFCAD.com is going dark," he tweeted. Defense Distributed was set to make the blueprints available yesterday (August 1), but some were released early and had already been downloaded thousands of times. CNN reports that another organization, the Firearms Policy Coalition, has posted the plans online, arguing that it "does not recognize" the court order. The National Rifle Association said that undetectable plastic guns are already illegal. 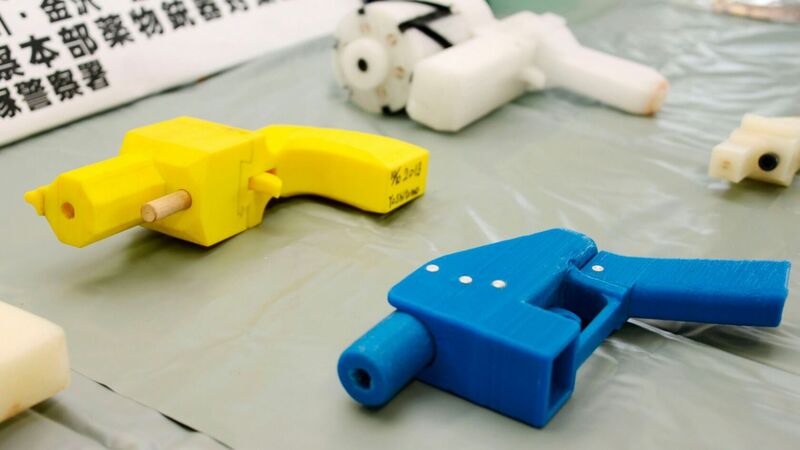 "Many antigun politicians and members of the media have wrongly claimed that 3D-printing technology will allow for the production and widespread proliferation of undetectable plastic firearms," said Chris Cox, the NRA's executive director for legislative action. "Regardless of what a person may be able to publish on the internet, undetectable plastic guns have been illegal for 30 years. Federal law passed in 1988, crafted with the NRA's support, makes it unlawful to manufacture, import, sell, ship, deliver, possess, transfer or receive an undetectable firearm."